A good estimator of the (or lack of) geostrategical importance of a country is how much the country itself talks about it. 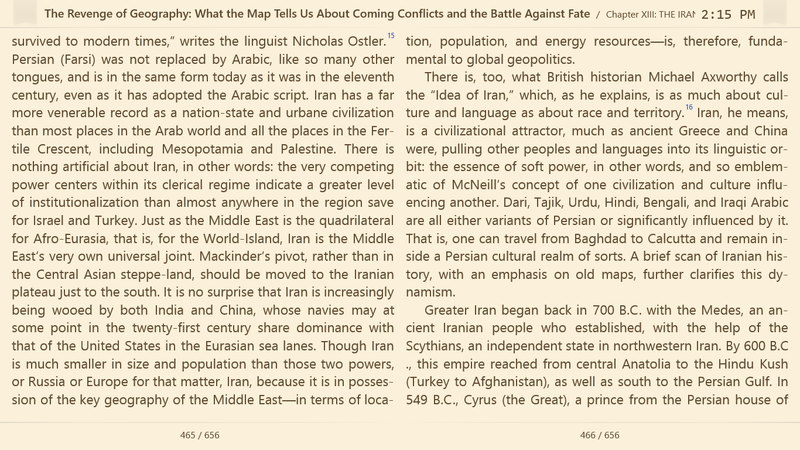 Iran has cut off itself for 35 years, and nobody notice it until the new Shia-sunni issues and the Iran bomb. At this point, Iran should threaten to drop a bomb on itself if they dont get money. Pakistan is another country which constantly scream geostrategic importance. If not for Afghanisthan (an even more godforsaken country), Pakistan would have been forgotten by 1979. Countries taht geostrategically important (China,we are looking at you) never mention that. I do not believe anybody has ever called India Geostrategically important, and we thank god for that.